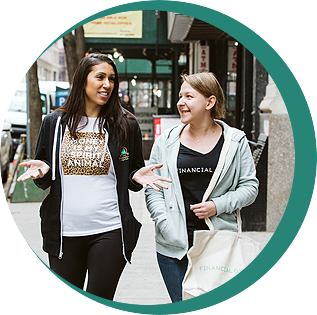 Skimm'rs, Meet Your New B.F.F. Paying off debt, especially a sizable amount feels like climbing Mt. Everest. When you look at it everyday, it seems insurmountable. However, with planning and training, you can scale Mt. Everest and with planning and training our clients have paid down hundreds of thousands of dollars of debt. All big life goals, like buying a house require cash and sometimes great credit. Our trainers take a multi-prong approach with helping clients not only figure out how much cash they need, how they can earn and save that cash, and also how they can constantly improve their credit so when the time is right to buy the house or property, they're prepared in every way financially. We have helped dozens of clients not only save for the ring, but also save for the big day and honeymoon afterward all while staying within budget. It’s not always easy and our trainers are frequently the referees between the happily engaged couple, but everyone is always happy in the end when the wedding is paid for with cash and on budget. The #1 Expense Our Clients Can’t Live Without? Their Expensive Fitness Center Memberships. 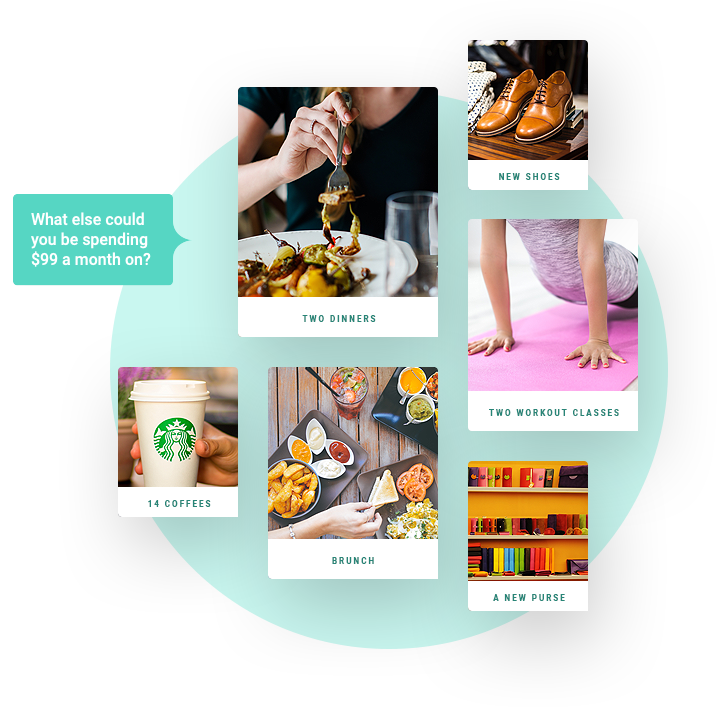 Just like a personal trainer at your gym, your financial trainer gives you expert guidance, cheers you on, and holds you accountable in ways that no app can. You'll be working hard, but you'll never be alone. Talking money can be tough. Rest assured, we've seen it all - the good, the bad, and deeply in debt - and nothing phases us. Your trainer will help you overcome your biggest hurdles with confidence. We uncover lots of hidden fees in high expense financial products that don’t make sense for our clients. When you work with us, you pay a flat monthly fee, that’s it; and we make sure it’s affordable within your overall budget. 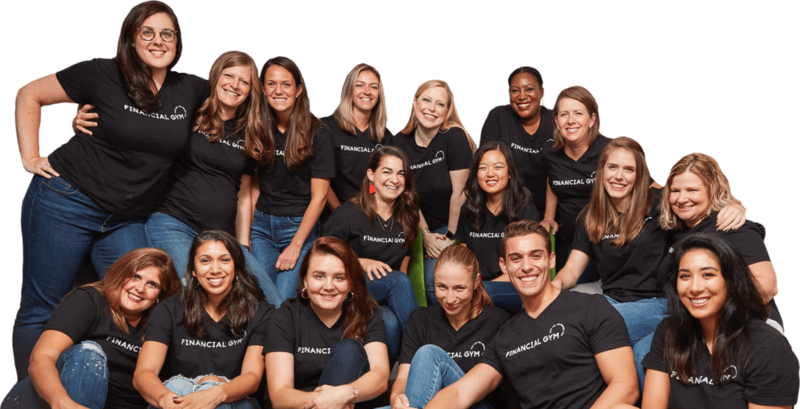 We take a fitness-inspired approach to your finances, teaching you how to make smarter money decisions that add up over time. It's a lot like joining a gym, minus the fancy equipment, plus a ton of free snacks. Time for some real talk. You'll sit down with a Certified Financial Trainer to walk through your goals (Need a budget? Save for a wedding? Paying off debt?) so they can build you a plan just for you. Success is a numbers game. You'll receive a personalized plan that breaks down your goals into a series of simple, achievable steps. Your trainer will be there to guide you, cheer you on, and hold you accountable as you work through the steps in your plan. 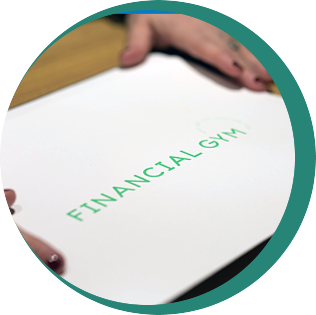 We are all about full disclosure, openness and transparency at the Financial Gym. Before you get started working with us, we want to make sure you know everything about us and we get to know you as well. The core of a successful trainer/client relationship is honesty and communication and it starts with our warm up call. Our warm up call team is not incentivized for you to join they want to make sure that it’s a good fit for you personally and financially. Let's Get You Saving Now! What is the difference between ETFs and Mutual Funds? 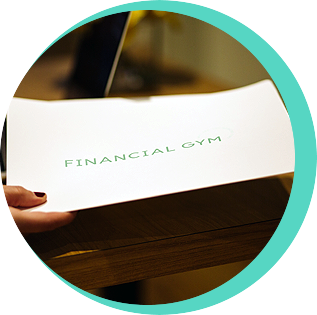 Sign up with your email address to receive news, tips, and updates from the Financial Gym! Thank you for subscribing to The Financial Gym’s newsletter. Each Monday morning you will receive a list of our upcoming events, webinars and other news!